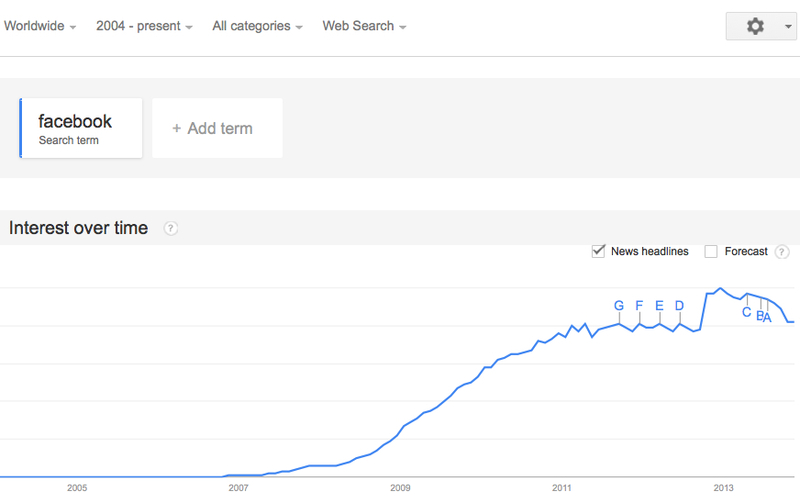 Take note that searches in October 2013 hit a three-year low and the last time search volume hit this level was in July 2010. 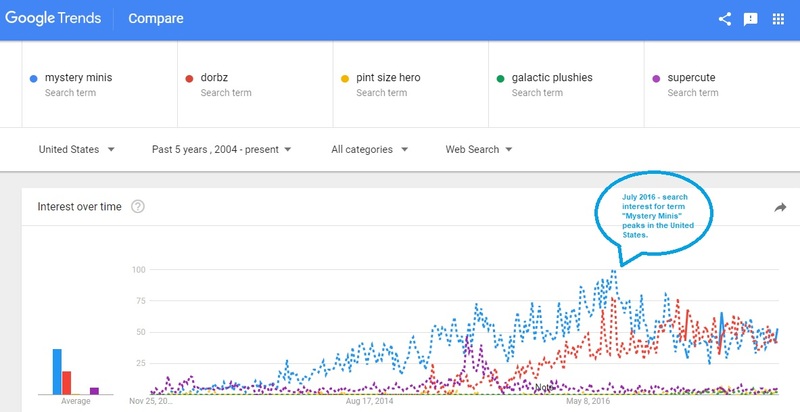 The worldwide search trend paints the same picture as that of the trend in the USA, (with the exception of a search spike in October of 2012 and subsequent downtrend) that the trend has been in stagnation since 2011. I have always been of the impression that Facebook (largest social network in the world) will one day have it’s day in the sun and eventually, interest in the platform will wane in the face of some other social platform. This is the same fate that many of our past favorite social platforms have met: MySpace or even further but a little less comparable, ICQ! 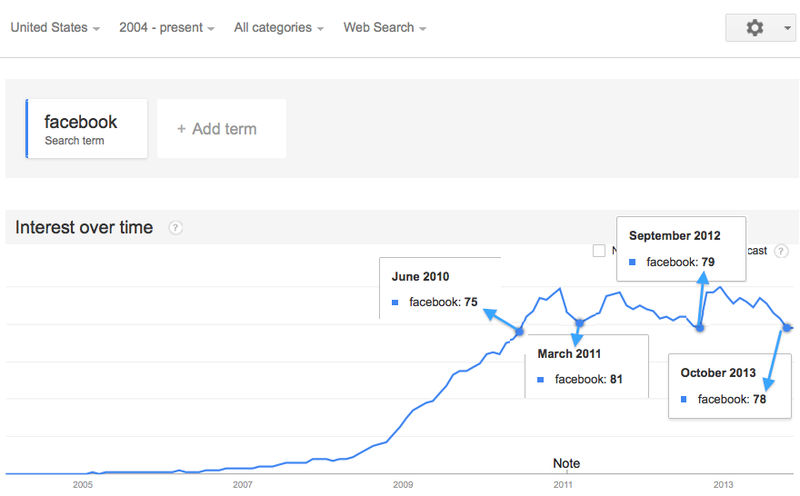 Facebook’s stock price has skyrocketed from July till October 2013 at which point the shares sold off approximately 15% (AO 13-11-12). There may still be more fuel in the tank to see the value increase even further but will ultimately be up to the user base and adoption rate of the platform in new markets. I’ll reiterate again that Facebook will live and die by it’s user base and if regular user’s revert to another social platform, it won’t matter what other revenue model the company can conjure up, marketers will not see the value in spending more and more dollars on a platform for which their target market is using less of. Suffice it to say, I’ll be keeping a close eye on this trend!